You can scour the internet and uncover millions of fascinating unsolved crimes and mysterious events. As a mystery author, I find these to be intriguing as well as haunting. 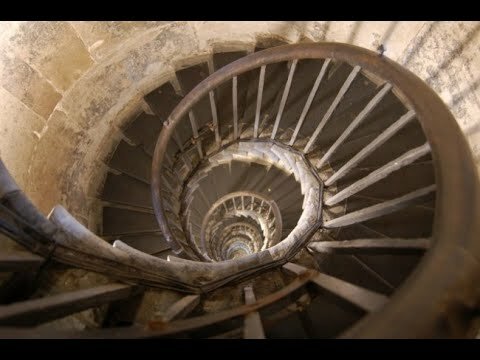 Here’s my current top ten list for the most intriguing unsolved mysteries of all time. 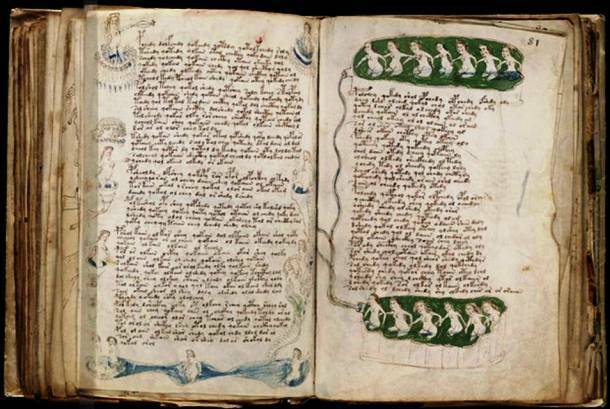 Throughout the centuries, people have been trying to decode the language written within the pages of this mysterious book. To this day, nobody knows what the language is, who wrote the book, or why. The only thing scientists and historians have to go by are the illustrations presented in numerous sections of the book. An unidentified man was found laying on the shore in Somerton Beach. Government agencies from around the globe have tried in vain to discover who the man is. 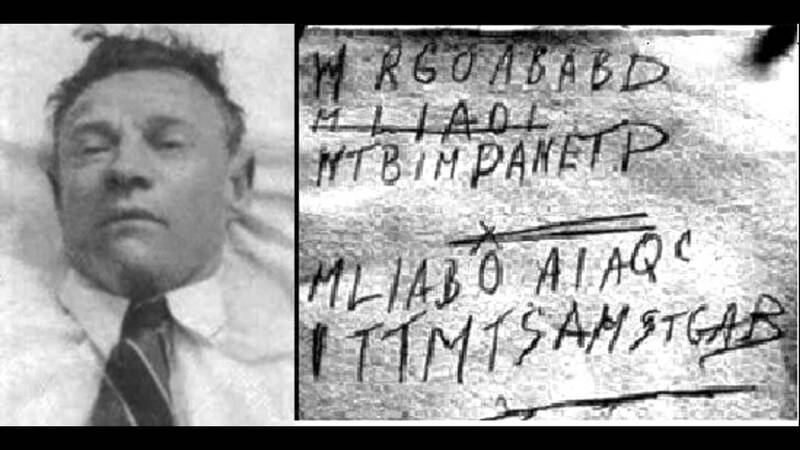 A piece of paper located in one of his pockets had the words Tamam Shud written on it. The translation: Ended. The paper turned out to be the torn out page of a book, The Rubaiyat of Omar Khayyam. The book turned up in the backseat of another man’s unlocked car. In the back of the book, several hand written lines of code were written with one marked out. 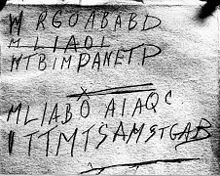 To this day, nobody knows who the man was or what the code meant. This one is very interesting to me, mainly because I live so close to Georgia. 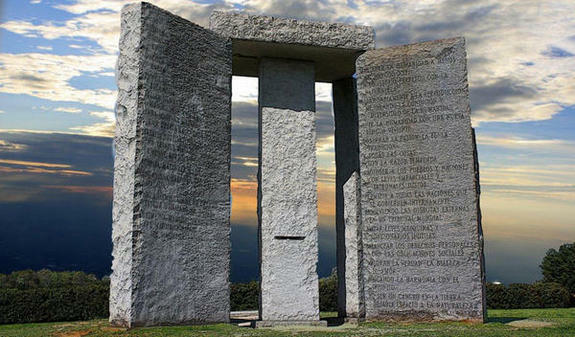 Some people call it the ‘American’ Stonehenge, and since it’s erection in 1979 in Elbert County, it’s become a very popular attraction. Written on it’s walls, that closely resemble tablets, are Ten New Commandments in English, Swahili, Hindi, Hebrew, Arabic, China, Spanish, and Russian. Who are these commandments meant for, and why were they created? The public media was really all over this one. The unsolved case became a parade of movies, books, T-Shirts and posters. It was the crime of the century, and 22 year old actress Elizabeth Short was the victim of this gruesome murder. Even today, people are fascinated by the case, especially since nobody knows who killed her or why. You’ve heard of this one, right? 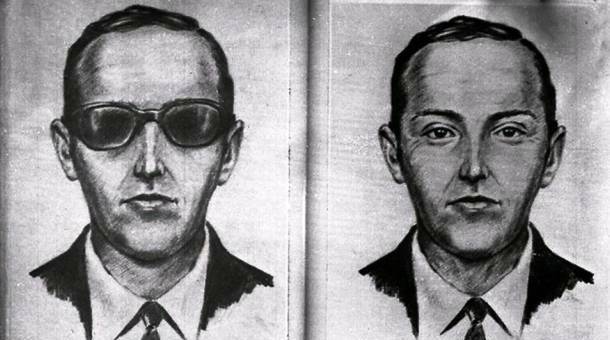 This is the only unsolved case in US Aviation history, and it involves the man pictured above hijacking a 747 Boeing along with 200K in cash. Cooper then jumped out of the airplane with a parachute, and was never seen or heard from again. In 1987, after a night of hanging out with his friends, Jack Davis Jr’s body was found at the bottom of an outside stairwell five days later. Many assumed that he had gotten drunk and fell, but the coroner’s report stated that he didn’t sustain injuries from a fall and he had no alcohol in his system! The last time his friends saw him, Jack was clean shaven, but when he was found, he had stubble on his face. Also, it had rained over the course of the five days since his disappearance, but his body was completely dry. This case remains unsolved, and continues to baffle police. 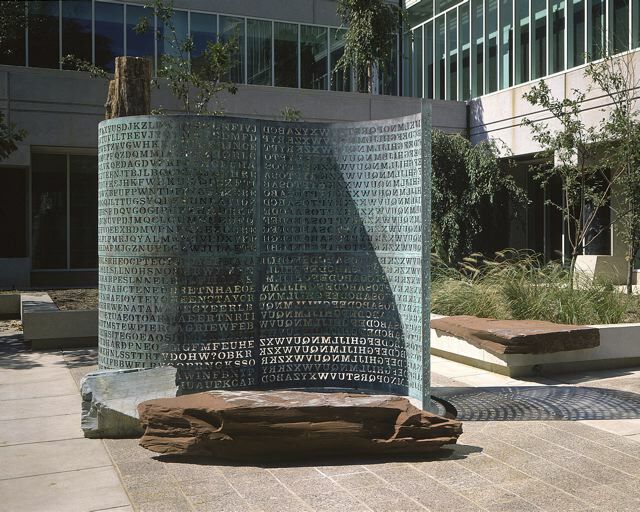 Jim Sanborn created this sculpture in front of the CIA headquarters riddled with cryptic codes. The CIA has cracked all of them except for one, which amateurs and professionals alike continue to attempt every single day. 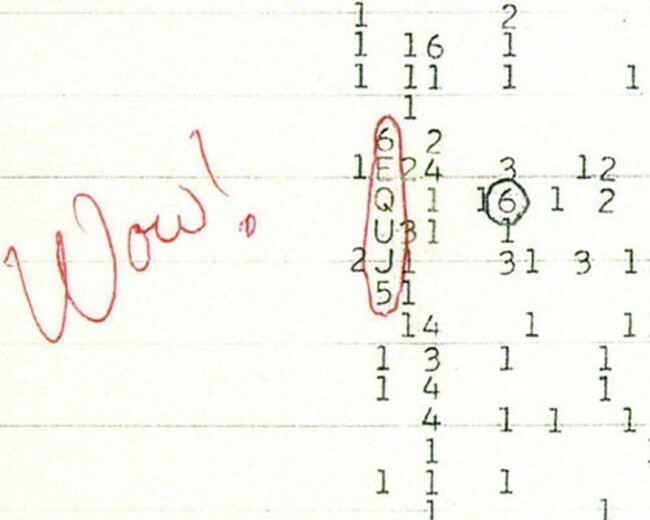 In 1977, Jerry R. Ehman, working on a SETI project at OSU, appeared to have found evidence of alien life. It was a signal from deep space, 120 light years away to be exact. The signal lasted for precisely 72 seconds, but has never been detected again. 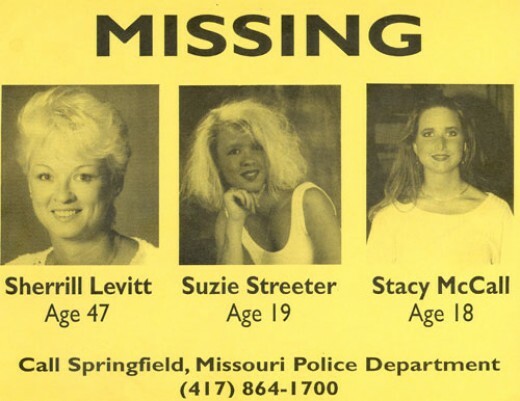 On June 7, 1992, Sherrill Levitt, Suzie Streeter and Stacy McCall went missing from their home on 1717 E. Delmar St., Springfield, Missouri. All of their belongings were left behind, including clothing, jewelry, and purses. 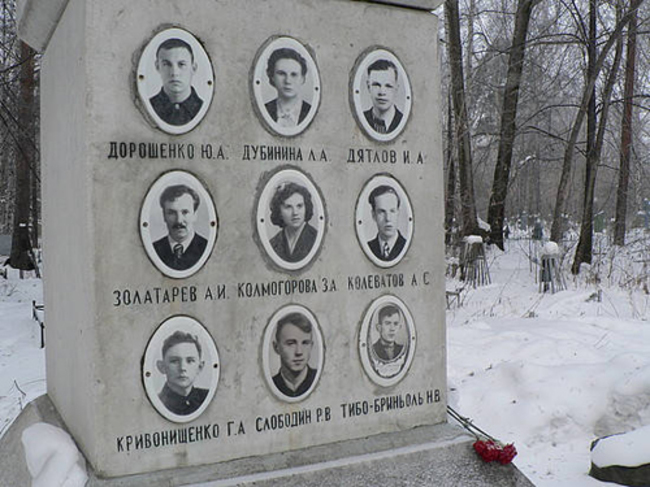 Their beds appeared to have been slept in, but their whereabouts or their remains have never been discovered. Do you guys know of any mysterious incidents that didn’t make the list? Let me know in the comments section below! If you like my post, don’t forget to subscribe to my blog. IF YOU WANT EXCLUSIVE CONTENT AND ALL KINDS OF OTHER AWESOMENESS, SIGN UP FOR MY NEWSLETTER!